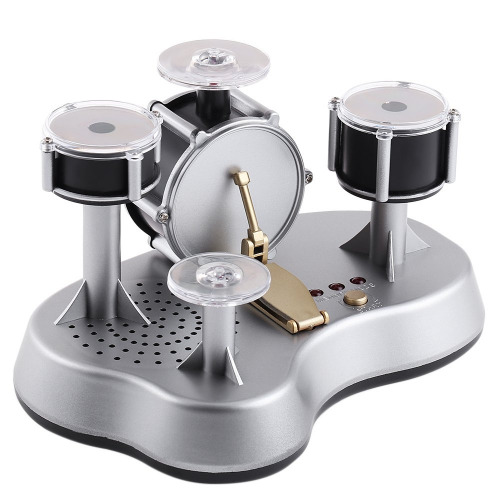 Touch sensitive desktop electronic drumset. 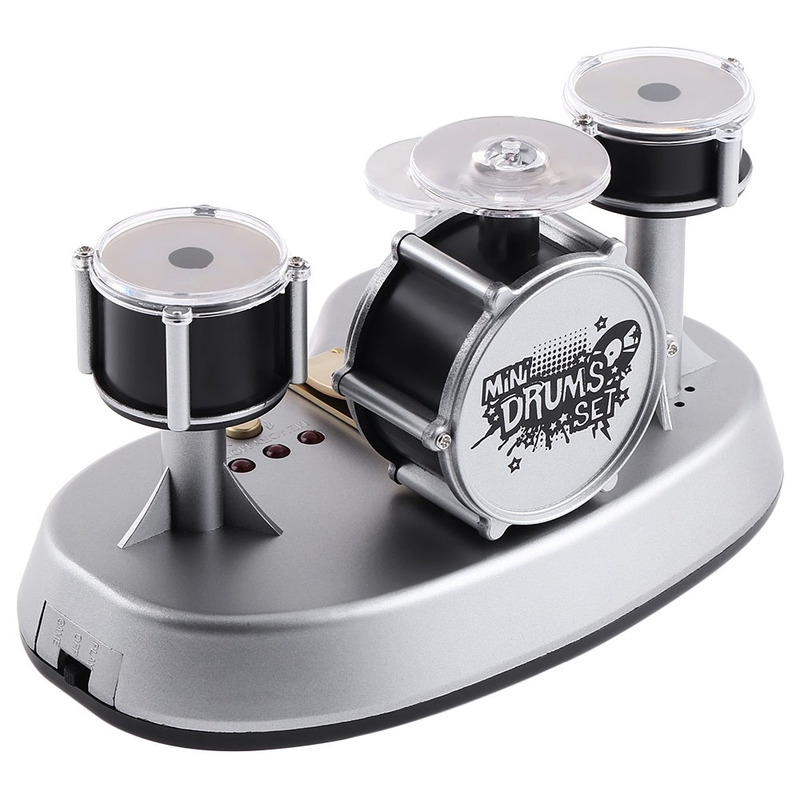 This tiny drumset that really works. Unlike a desktop guitar that wouldn't really work. Great sound of internal speaker. Tap with your fingers to play the drums or cymbals. 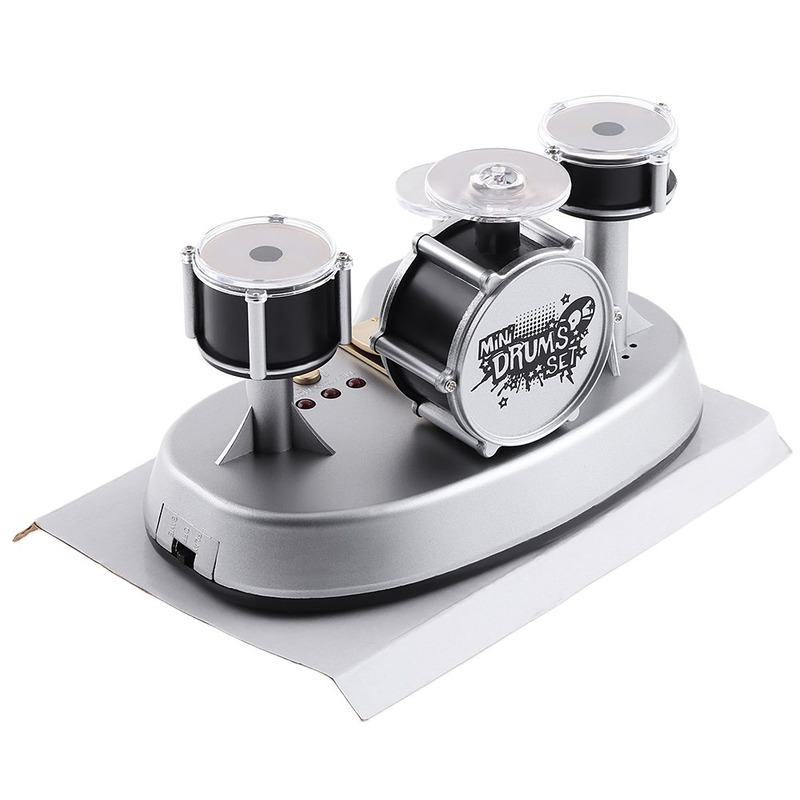 Will not go deaf and drive away your neighbors in the process of learning on this desktop drum kit. Finger drum is really fun to play. 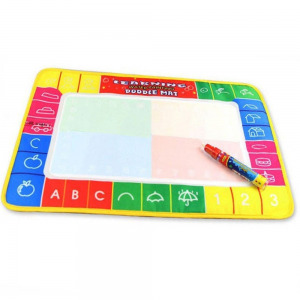 A must item for children uses and gifts. 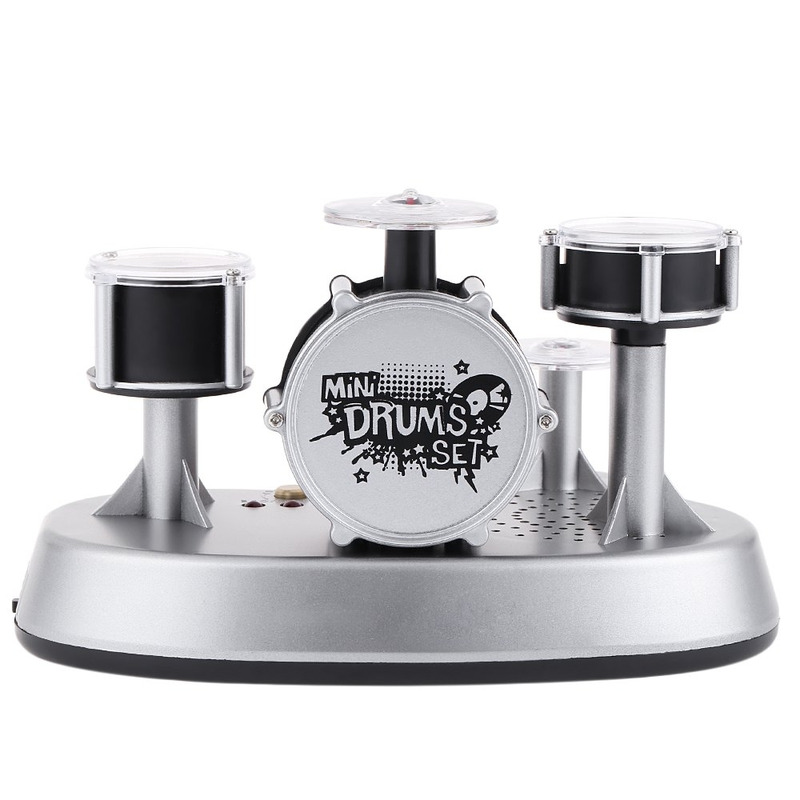 design for demonstrating your drum music by your own through touch panel. Touch sensitive desktop electronic drumset. This tiny drumset that really works. Unlike a desktop guitar that wouldn't really work. Great sound of internal speaker. Tap with your fingers to play the drums or cymbals. Will not go deaf and drive away your neighbors in the process of learning on this desktop drum kit. Finger drum is really fun to play. 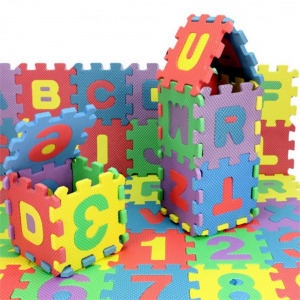 A must item for children uses and gifts. design for demonstrating your drum music by your own through touch panel. 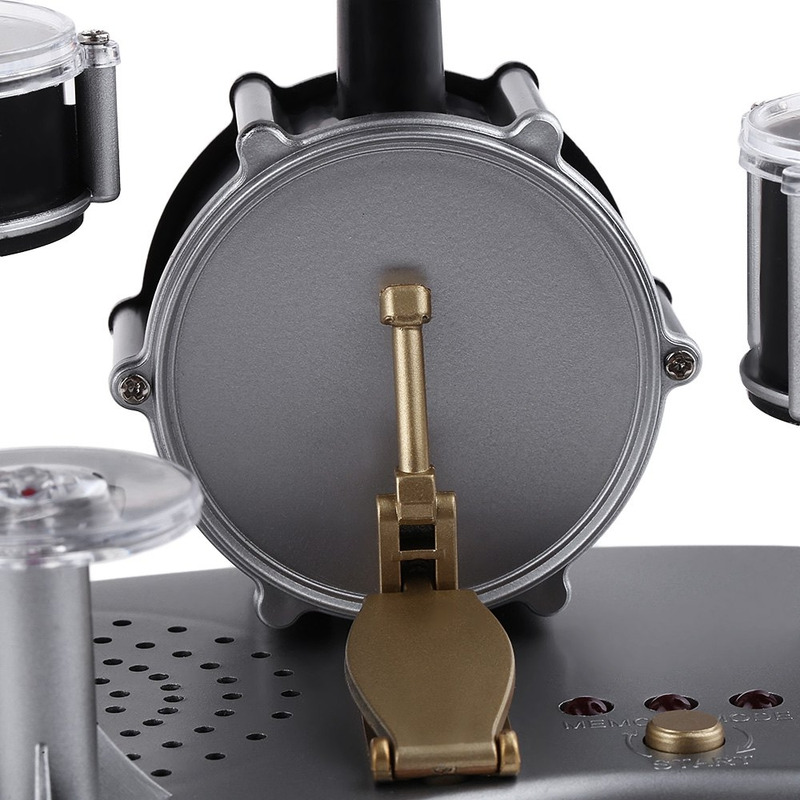 Contains touch panels for all components, including bass, cymbal and 3 side drums. Just touch the panel with your fingertips, and music would be voiced. Performs demo / record / playback function. Play with your fingertips. No drum stick required. Vision training train aesthetic vision and creativity. Auditory training inspire the development of hearing and understanding of sound. Tactility training tactile texture inspired by cognitive and tactile awareness.